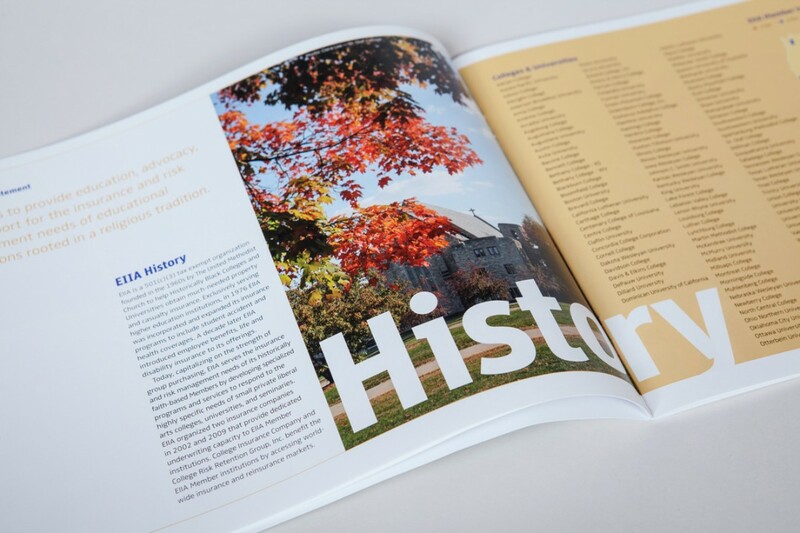 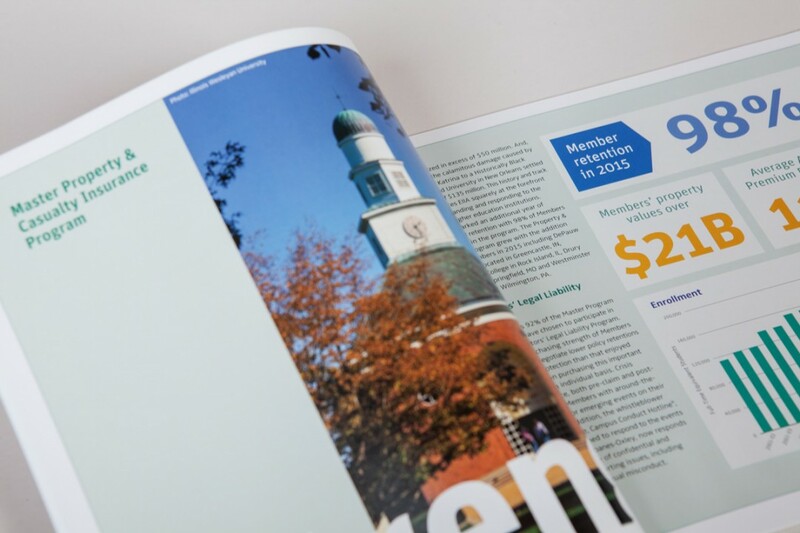 The theme for this year’s Annual Report is “Solutions Through Collaboration”. 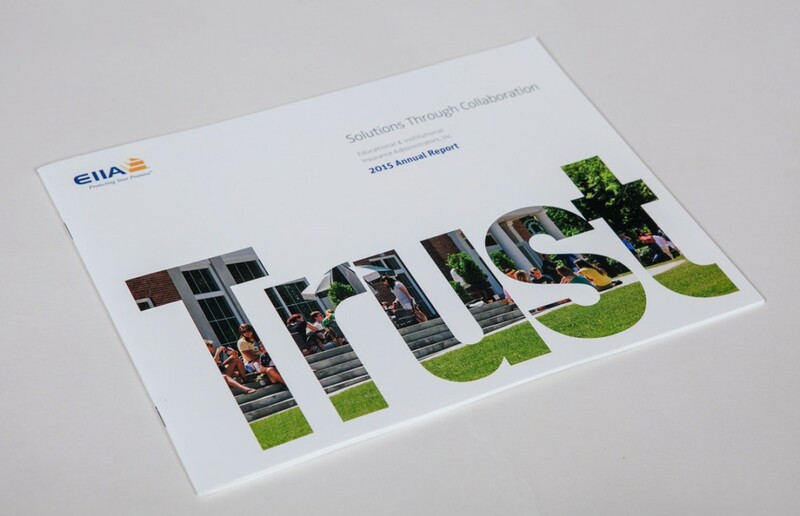 Building on the idea that the foundation of collaboration is trust, we used the word trust as a design element on the cover of the report. 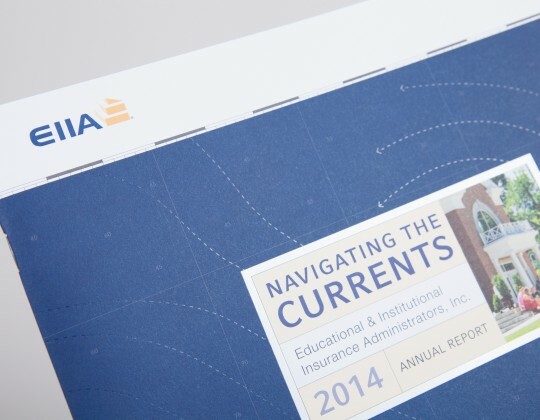 We continued this concept throughout the report, highlighting key words that reinforce EIIA’s essential partnership with its members in providing excellent value through its range of sophisticated, innovative insurance and risk management services.